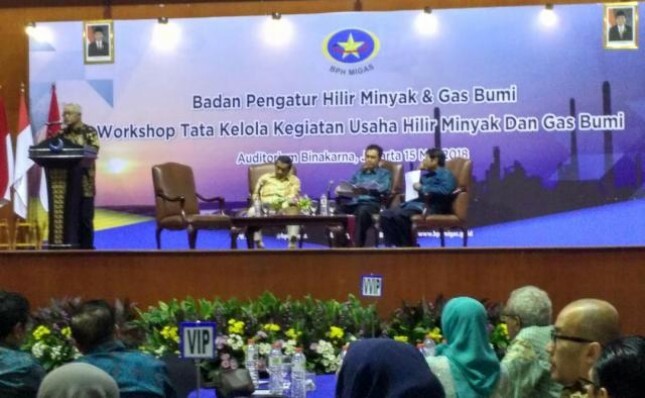 INDUSTRY.co.id - Jakarta - Lower Oil and Gas Regulatory Agency (BPH Migas) plans to increase the premium fuel quota this year from 7.5 million kiloliters to 12.5 million kiloliters. Of the 12.5 million KL, 7.5 KL of which is for the non Jamali region (Java, Madura, Bali) and the remaining 5 million extra KL for the Jamali area. 12.5 million kiloliters is minimal. So tomorrow we count with Pertamina. Kan also there is aspects of economic growth and others, said Head of BPH Migas Fanshurullah Asa in commemorating the 15th anniversary of BPH Migas at Hotel Bidakara, Tuesday (15/05/2018). Fanshurullah said the additional quota of 5.1 million KL is a minimal kouta submitted by BPH Migas. According to him, this number can continue to grow depending on the conditions of economic growth, vehicle growth, until the condition before Lebaran.